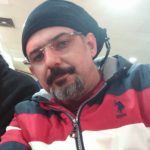 The International Corrosion Symposium is the most important and prestigious activity on corrosion in country which has been organized since 1988 every two years by the Corrosion Association in Turkey, mostly under the auspices of a university. The XIV. 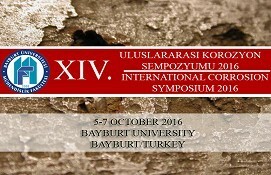 International Corrosion Symposium (KORSEM 2016) will be held in Bayburt, a town located in the northeastern part of the country. The Bayburt University will host the event supporting it with all means to provide a truthful environment for scientific work and discussions. The basic mission of KORSEM is to bring together academics, scientists and engineers to a common forum to share and discuss scientific findings in a combination with the problems and experience of industrialists how to monitor and control corrosion. In addition to sections where the papers will be presented and discussed, a round table discussion will be organized to concentrate on the corrosion problems in energy generating systems whereby a special attention will be devoted to corrosion of the nuclear reactor materials. The symposium preceding will be published and make available to participants during registration. We are pleased to invite you to submit research article in KORSEM 2016 and to participate in discussions and evaluations with your problems and experience how to control corrosion.